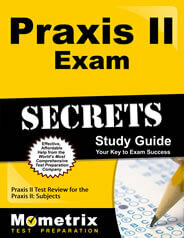 The Praxis II PA Grades 4-8 Core Assessment test includes three sections. One of these sections is the Praxis II PA Grades 4-8 Core Assessment: Pedagogy test. This test shows how well you can teach students at the elementary school level. While you may know the content, the hardest part is actually teaching it to children. It can difficult to deliver instruction to students and assess their learning. That’s why prospective teachers are given the Praxis II PA Grades 4-8 Core Assessment: Pedagogy exam, which correlates with the Pennsylvania Academic Standards. You are given one hour and 10 minutes to answer the 70 questions on the test. You will be tested on four categories of content: adolescents as learners, curriculum and instruction, assessment and professionalism. You will need this knowledge of pedagogy in order to successfully teach core subjects such as English, math, science and social students to students in grades 4-8. The term pedagogy, however, can be quite vague in nature. What terms and concepts will be on the test? 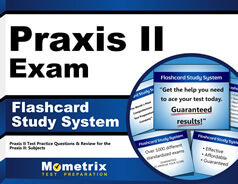 You can find out by taking the Praxis II PA Grades 4-8 Core Assessment: Pedagogy (5153) practice test. This test does not have the same exact questions as the test, but it gives test takers an idea of the type of information you will need to know in order to pass the test. The Mometrix Test Prep Team is offering this practice test free of charge. There is also a study guide you can purchase to raise your score – guaranteed.